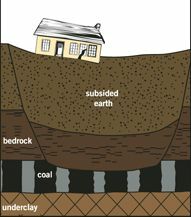 for the safety of coal miners, the public and the environment. Do you live above an abandoned mine? 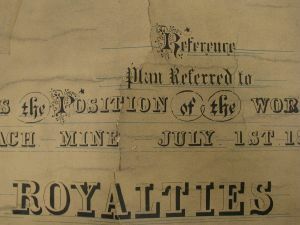 Looking for maps of abandoned mines? 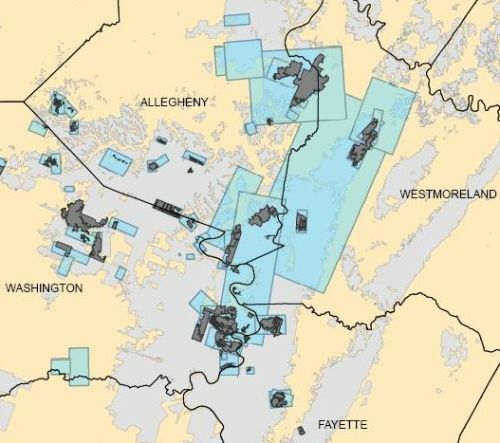 CONSOL Energy Inc. began placing mine map materials at the Archives of the University of Pittsburgh in 1991. 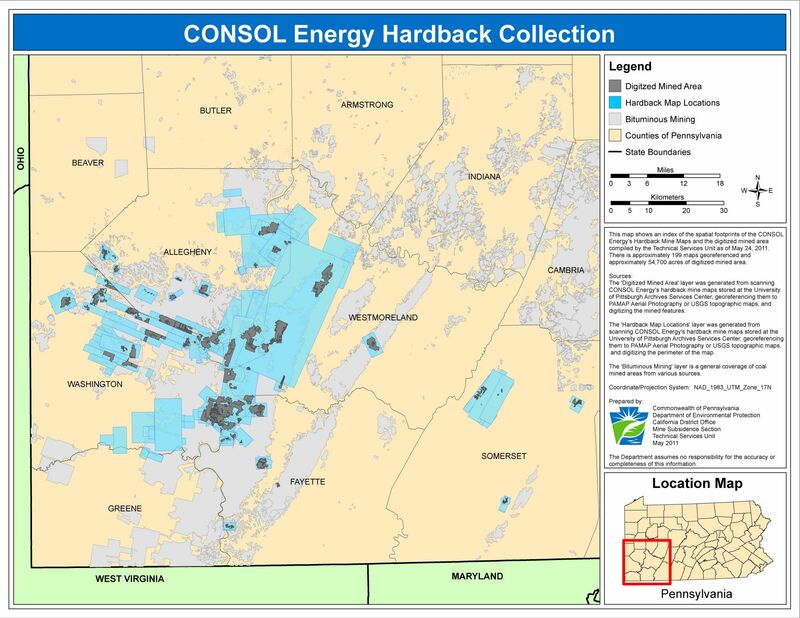 The CONSOL Energy Inc. 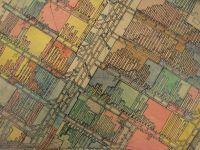 Mine Maps and Records Collection has grown to include over 8,000 individual map sheets relating to mines once operated by the CONSOL Energy subsidiary Consolidation Coal Company. The project focuses on a subset of the collection called hardback maps. The term "hardback" refers to the map's construction of heavyweight paper adhered to canvas backing. 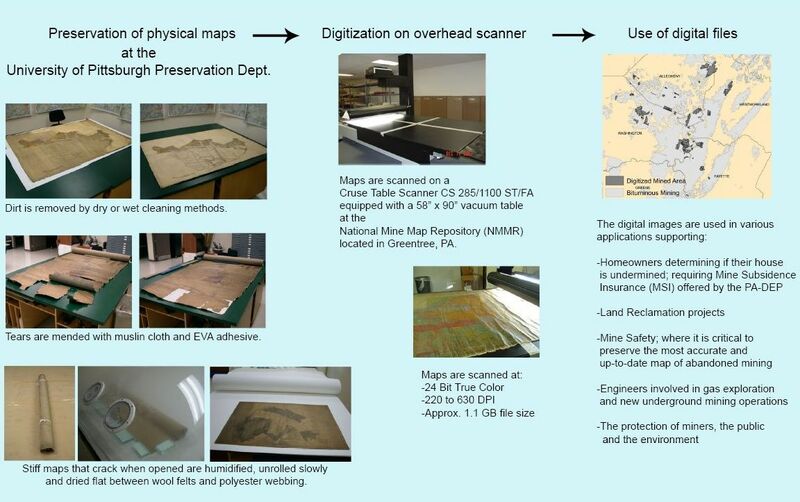 The over-sized dimensions of the maps (5 ft. tall and up to 30 ft. long) present challenges in use and preservation. 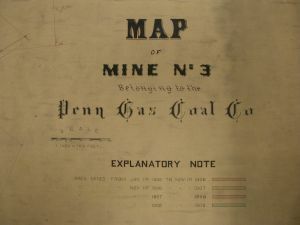 The hardback maps served as master copies and often contain the most complete diagram of underground mines owned and/or operated by Consolidated Coal Company and its constituents in the Pennsylvania counties of Allegheny, Westmoreland, Washington, Greene, Fayette, and Somerset. The project is supported by a partnership in funding among the Pennsylvania Dept. of Environmental Protection (PA-DEP), the U.S. Dept. 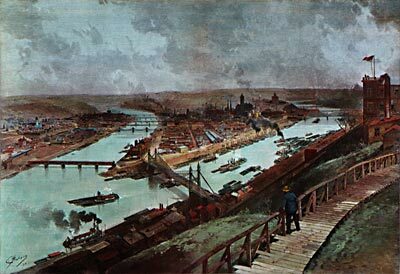 of the Interior Office of Surface Mining, Reclamation and Enforcement (OSMRE), the University Library System (ULS) of the University of Pittsburgh and CONSOL Energy. The hardback maps are surveyed, cleaned and repaired at the ULS Preservation Dept. 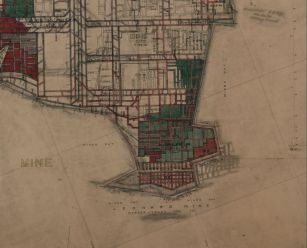 Once stabilized, the maps are transported to the OSMRE National Mine Map Repository (NMMR) where they are cataloged and digitized. The digital images are transferred to the PA-DEP California District Office for geo-referencing and use in GIS applications. 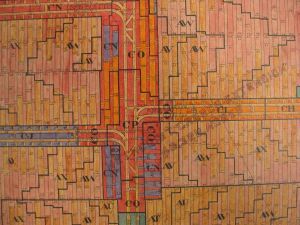 Lastly, the physical maps return to the University of Pittsburgh for long-term archival storage. The ULS Preservation Dept. began stabilizing maps for scanning in June, 2007.